Altman Weil MergerLine - Tracks law firm mergers and acquisitions as they are reported by the press. MergerLine compiles news of mergers and acquisitions of all sizes. Its focus is U.S. firms, but it will report on significant combinations wherever they occur. Lawyer headcounts are derived from published league tables, directories and law firm websites. AmLaw Lists and Rankings - AmLaw 100, AmLaw 200, Global 100, etc. Arbitration and Mediation Services - Arbitration and mediation services links index. Attorney Locate - Search for an attorney based on location and practice area. Attorney Pages - Free attorney directory for consumers and small businesses. Avvo - Find and rate any licensed attorney. BestLawyers - The Best Lawyers in America is a widely regarded referral guide to the legal profession in the U.S. Best Lawyers lists, representing 27 specialties in all 50 states and Washington, DC, are compiled through a peer-review survey in which thousands of top lawyers in the U.S. confidentially evaluate their professional peers. Cahill Gordon & Reindel, LLP - National reputation for excellence in the financial and corporate areas. Among its ranks are lawyers who joined Cahill following distinguished careers in the Securities and Exchange Commission, United States Department of Justice, Department of the Treasury, Federal Trade Commission and other federal and state agencies. 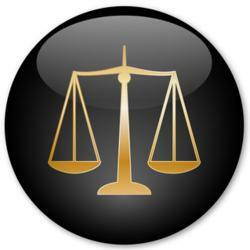 Canadian Lawyers Directory - Canadian lawyers directory and referral service. Criminal Defense Attorney Directory - Findlaw's directory of attorneys who represent individuals accused of criminal offenses. Employment Law Firms - Provides U.S. nationwide listing of attorneys specializing in employment law. Cases handled include age discrimination, sexual discrimination, racial discrimination, and sexual harassment in the workplace. Federation of Defense and Corporate Counsel (FDCC) - FDCC members are experienced attorneys in private practice as well as general counsel and insurance claims executives from throughout the world. FeeBid - Fee quote and RFP engine exclusively designed for intellectual property legal services. FeeBid allows clients to place confidential RFPs to 100's of IP attorneys thoughout the U.S.
Harmonie Group, The - A national network of high quality U.S. law firms. Harmonie Group members are identified from contacts in the following areas: the risk industry, the International Association of Defense Counsel, the Federation of Defense and Corporate Counsel, the Defense Research Institute, the American Bar Association Sections, and from law firms having a Martindale Hubbell AV Rating. Jones Day - Practice covers the full spectrum of transactional, litigation, regulatory, and tax matters affecting its clients. 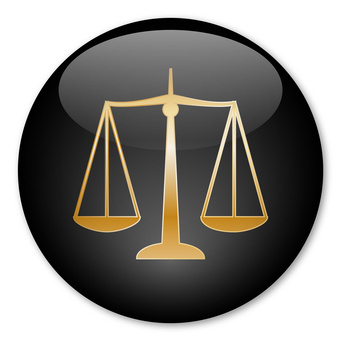 Justia Legal Services and Lawyers Directory - Find law firms, legal aid and legal services. LawCost Management - Serving legal departments of major corporations, focusing on creative solutions that lower outside legal expenses while strengthening the lawyer-client relationship. LawyerLocator (UK) - Comprehensive search directory of law firms to help you locate the law firm or lawyer with the skills you need, in your area, wherever you are in the UK. FindLaw: Find a Lawyer - FindLaw's Lawyer and Law Firm Directory lists over 500,000 legal professionals. LegalMatch - An intermediary between attorneys and the people who need them. Its proprietary process matches small businesses and individuals with attorneys who have the right experience, availability, interest, and price. LegalGenius - Business-to-business Internet exchange for attorneys creating a marketplace for case referrals, case leads, legal questions and second opinions. LegalServ - Database of nearly 500,000 names of attorneys and law firms. Locating Lawyers - A backgrounder with resource links covering attorney directories and a 50 state survey of online bar directories. Martindale-Hubbell Experts and Services - Search the Martindale-Hubbell directory of more than 4000 experts, services, suppliers, and consultants serving the legal profession. Martindale-Hubbell Dispute Resolution Directory - Alternative Dispute Resolution (ADR) Services Locator. Martindale-Hubbell Lawyer Locator: UK - Comprehensive search directory of law firms to help you locate the law firm or lawyer with the skills you need in the United Kingdom. Martindale-Hubbell Lawyer Locator: U.S. and Canada - A fundamental resource in law libraries, law firm offices and corporate legal departments. Provides more than 900,000 lawyer and law firm listings. Paul Hastings - Strengths in employment, tax and business law with big name clients in more than 80 countries. Taxation Law Firms - Directory of tax attorneys, lawyers and law firms specializing in taxation law. Cases include IRS tax law, personal and business taxes - U.S. state and federal. Thomson Legal Record - A unique research tool, combining an attorney's litigation history on Westlaw with the attorney's profile on FindLaw. It provides a simple, efficient, fully documented resource for legal and corporate professionals seeking experienced litigators and a verifiable basis for decision-making. West Legal Directory - Provides profiles of more than 800,000 lawyers and law firms, in addition to profiles of international counsel, corporate counsel, and U.S. government attorneys. Akin Gump Strauss Hauer Feld LLP - General practice, including but not limited to antitrust; appellate; banking and financial institutions; capital markets; communications and information technology; corporate and securities; corporate governance; employee benefits; energy; entertainment and media; environmental; estate planning, wealth transfer and probate; financial restructuring; global security; government contracts; health care; insurance; intellectual property; international trade; investment funds; labor and employment; land use; litigation; mergers and acquisitions; privatization; project development and finance; public law and policy; real estate development and finance; Russia/CIS; tax; and technology. Alston & Bird LLP - Transactional, litigation, tax, intellectual property and technology services. Andrews Kurth LLP - Corporate law firm, based in Houston, Texas, with clients in energy, financial services, transportation, manufacturing, technology and other industry sectors. Arent Fox Kintner Plotkin & Kahn, PLLC - With offices in Washington, D.C. and New York, the Firm has a wide range of expertise in litigation, corporate securities and transactions, financial restructuring and bankruptcy, government relations and regulation, labor and employment law, finance, tax, corporate compliance, and the global business market. Arnold & Porter - Regulatory, litigation and transactional services. Many of the firm's attorneys have held senior positions in such U.S. government agencies as the Departments of State, Justice, and Treasury, the Federal Reserve Board, the Federal Trade Commission, the Federal Communications Commission, the Central Intelligence Agency, and the Securities and Exchange Commission. Baker Botts L.L.P. - Global energy and technology firm with world-class litigation, environmental, and corporate lawyers. Baker & Hostetler LLP - Practice groups include Business; Employment & Labor; Litigation; Tax, Personal Planning and Employee Benefits. Baker & McKenzie - Banking, Finance, Major Projects, and Real Estate. Commercial and Regulatory. Compensation and Employment Law. Corporate and Securities. Intellectual Property. International. Litigation. Taxation. Baker, Donelson, Bearman, Caldwell & Berkowitz, PC - Current and former Baker Donelson attorneys and public policy advisors include, among many other highly distinguished individuals, people who have served as Chief of Staff to the President of the United States; the U.S. Senate Majority Leader; the U.S. Secretary of State; a member of the United States Congress; the Federal Aviation Administrator; Chief of Staff at the Supreme Court of the United States and Administrative Assistant to the Chief Justice of the United States; the Deputy Under Secretary for International Trade for the U.S. Department of Commerce; the Ambassador to Turkey; the Ambassador to the Sultanate of Oman; Chief Operating Officer and Commissioner of Finance and Administration for the State of Tennessee; the Deputy Governor and Chief of Staff for the Governor of Tennessee, the Governor of Mississippi, and the Chairman of the Alabama Securities Commission. Barbour Griffith & Rogers, Inc. - A company of lawyers, policy specialists and other professionals, advocates in federal government relations. Barnes & Thornburg - The firm has more than 370 attorneys who represent and counsel clients in many areas including business, creditors' rights, environmental, estate planning and administration, global logistics, governmental services, healthcare, intellectual property, international, labor and employment, litigation, public utilities, real estate, securities, taxation, and transportation. Beck & Lee - Trial lawyers specializing in lawsuits on behalf of severely injured individuals, investors, consumers, and businesses. Berger & Montague, P.C. - Decades of experience in handling major complex litigation in Antitrust; Commercial Litigation; Commodities & Options; Consumer Protection; Corporate Governance & Shareholder Rights; ERISA & Employee Benefits; Employment Law; Environmental & Mass Tort; Insurance & Financial Products & Services; Lending Practices & Borrowers' Rights; Representing Opt-Outs In Class Actions; Securities Fraud; and Whistleblowers, Qui Tam & False Claims Act matters. Bernstein Litowitz Berger & Grossmann LLP - Specialize in the litigation of securities class, derivative and direct actions in federal and state courts; corporate governance litigation, including claims for breach of fiduciary duty and proxy violations; prosecuting violations of federal and state anti-discrimination laws and vindication of employee rights; and consumer claims. Blank Rome LLP - A multi-practice national law firm of more than 450 attorneys. Bracewell & Patterson L.L.P. - When Houston's emergence as a business and commercial center pushed its geographic boundaries outward and upward, Bracewell & Patterson attorneys handled many of the real estate transactions that created the city's current landmarks and multiple skylines. Because the city's growth and expansion required financing, the firm developed its representation of financial institutions, ranging from community banks to major domestic money centers and foreign banks. While supporting the city's burgeoning energy industry, Bracewell & Patterson amassed a rich cache of energy-related knowledge and experience that few firms can rival today. Likewise, the roots of our labor and employment practice, one of Texas' largest, evolved from helping employers sort out an ever increasing tangle of federal labor laws and regulations. Clayton, Dubilier & Rice - Based in New York and London, CD&R's professionals reflect two different skill sets: its financial partners are private equity investment professionals from the financial institutions and management advisory firms; its operating partners have collectively spent more than 300 years in senior management positions across a wide range of industry sectors at over 50 companies, notably ABB, BBA, BTR, Emerson Electric, GE, IBM and Unilever. Cleary Gottlieb Steen & Hamilton - Antitrust, banking and financial institutions, business litigation, corporate, derivatives and commodities, employee benefits, employment and pensions, energy, environmental law, insurance coverage, intellectual property, international litigation and arbitration, international trade, investment funds, joint ventures, litigation, mergers and acquisitions, privatizations, product liability, project finance, real estate, securities and derivatives, structured finance, taxation, trusts and estates, white collar defense, workouts and bankruptcy. Clifford Chance, LLP - Clients include corporates from all commercial and industrial sectors, governments, regulators, trade bodies and not-for-profit organisations. Cohen Milstein - Plaintiff class action lawsuits on behalf of victims of corporate wrongdoing. Comar LLP - San Francisco and New York. Boutique law firm specializing in effective venture growth, social impact enterprises, and pro bono human rights work. Constantine Cannon LLP - Antitrust firm with expertise in industries including payment systems (e.g., credit and debit cards, interchange, mobile payments, and PCI compliance), telecommunications, health care, high technology, advertising, and the airline industry. Coudert Brothers, LLP - Commercial law for the international community. Covington & Burling - General practice, including, but not limited to: antitrust and competition, appellate, arbitration and alternative dispute resolution, banking and financial services, bankruptcy and insolvency, business law, civil rights, communications and media, copyrights, corporate, criminal, election and campaign finance, emerging companies, employee benefits, employment, energy, environmental, food, drug and cosmetics, government contracts, health services, information services, insurance, intellectual property, international, information technology and internet, latin america, legislative, litigation, mergers and acquisitions, petroleum, products liability, professional responsibility, real estate, securities, sports, taxation, toxic torts, trade associations, trade regulation, trademarks, transportation and trusts and estates. Cowen, Liebowitz & Latman - Intellectual property, information technology, commercial practice, real estate, trusts and estates, litigation. Cox, Wootton, Lerner, Griffen & Hansen, LLP - Maritime and transportation, civil litigation, banking and finance, real estate, environmental law, corporate development and transactions, insurance, inland marine. Offices in San Francisco, Los Angeles, and Hawaii. Cravath, Swaine & Moore, LLP - Founded in 1819, one of the preeminent law firms in the world, with offices in New York and London. Corporate, tax and litigation work. Crowell & Moring LLP - Antitrust, litigation, government contracts. David E. Coombs - Provides legal counsel, service, and representation to soldiers. The firm specializes in representing members of the United States Army facing criminal and adverse administrative actions. Davis and Harman LLP - Federal tax counseling, planning, and Washington legislative services. Davis Polk & Wardwell, LLP - Litigation, corporate, tax, and trusts and estates. The corporate department is further divided into three major practice groups - capital markets, mergers and acquisitions, and credit - as well as a number of specialist groups. While not formally divided into subgroups, the litigation department is preeminent in securities litigation and compliance, white collar criminal defense, products liability and mass torts, antitrust, and insolvency and restructuring. Debevoise & Plimpton LLP - Based in New York, Washington, London, Paris, Frankfurt, Moscow, Hong Kong and Shanghai and serve clients throughout the Americas, Europe and Asia. Corporate, litigation, tax, trust and estates. Dechert LLP - Business, litigation, tax, and government practices. Despres, Schwartz and Geoghegan Ltd. - A general litigation firm in Chicago that specializes in labor and employment law, civil rights, consumer fraud, voting rights and other constitutional rights litigation. Diaz Reus, LLP - An international law firm offering comprehensive legal services to U.S.-based and global clients, including multinational corporations, The Fortune 1000, foreign government entities, public officials, domestic and international banks and other financial institutions, entrepreneurs and high-net-worth individuals. Diaz Reus lawyers have experience in high-stakes international litigation and arbitration involving intellectual property rights, business and contractual disputes, trademark and copyright violations, financial fraud claims, asset-recovery, anti-money-laundering compliance, and criminal and civil RICO cases, as well as in regulatory and white-collar criminal defense. In addition, skilled, multilingual transactional lawyers at Diaz Reus can handle multinational and domestic corporate formation, licensing, tax, mergers and acquisitions, immigration, trust and estate, and family law matters worldwide. Dorsey & Whitney LLP - Business law. Drinker Biddle - Class action defense, corporate and securities, government relations, health care, intellectual property, insurance, investment management, private equity, bankruptcy, energy, environmental, education and communications. Durkin & Roberts - Founded on March 1, 1984, by Thomas Anthony Durkin and Janis D. Roberts, with a commitment to the principle of defending the rule of law, civil liberties and international human rights by providing the highest quality representation to individuals accused of serious crimes. For more than two decades, the firm has done just that, representing individual criminal defendants and working in complex criminal trials and related civil rights litigation. Mr. Durkin was awarded the Bill of Rights in Action Award by the Constitutional Rights Foundation Chicago for his work defending the Constitution and working to protect the rights of detainees held at Guantanamo Bay, Cuba. Eels & Tronvold - Accident attorneys and personal injury lawyers. Ford O'Brien LLP - Commercial litigation, regulatory defense and white-collar criminal defense. Forum Nobis PLLC - Provides expert advice, zealous advocacy, and strategic counseling on complex issues of international law, human rights, and environmental justice to individuals and communities affected by injustice. Fulbright & Jaworski L.L.P. - Full-service, international law firm. Geragos & Geragos - Criminal law and civil litigation, with highest emphsis on trial skills. Good & Cormier - Devoted to the defense of criminal cases and the handling of civil liberties matters (including First Amendment, media and computer law matters. Gibson, Dunn & Crutcher LLP - With approximately 800 attorneys in 13 locations worldwide, Gibson, Dunn & Crutcher represents clients that include some of the world's largest multinational corporations in all major industries, leading government entities, commercial and investment banks, start-up ventures, emerging growth businesses, partnerships and individuals. Grant & Eisenhofer - A national litigation boutique that concentrates on securities, corporate governance, false claims, antitrust, bankruptcy, and consumer litigation as well as other complex class actions. Hadsell Stormer Richardson & Renick LLP - Leaders in California and international human rights litigation, sexual harassment, employment discrimination, consumer fraud. Also see the firm's blog. Hagens Berman - A class action litigation firm that seeks to protect the rights of consumers, workers, whistleblowers, investors and others. Hausfeld - Complex antitrust and other legal disputes. Jones Day - Full-Service Civil Practice, Antitrust and Competition Law, Business Restructuring and Reorganization, Corporate Criminal Investigations, Corporate Finance, Cross-Border Transactions, Employee Benefits, Energy, Environmental, Health and Safety, General Litigation, General Tax, Health Care, Intellectual Property, Issues and Appeals, Labor and Employment, Lending/Structured Finance, Mergers and Acquisitions, Private Capital, Product Liability and Regulation, Real Estate, Technology Transactions, Trade, Regulatory Law and Telecommunications. Jordan Coyne & Savits L.L.P. K&L Gates LLP - Represents leading global corporations, growth and middle-market companies, capital markets participants and entrepreneurs in every major industry group as well as public sector entities, educational institutions, philanthropic organizations and individuals. Kaiser Law Firm, PLLC - A litigation boutique in Washington, D.C. Represents individuals and small businesses in commercial litigation, government investigations, and in the defense of criminal cases in federal court. Kasowitz Benson Torres & Friedman, LLP - A national law firm, numbering more than 375 lawyers, primarily focusing on complex commercial litigation. Kazan, McClain, Abrams, Fernandez, Lyons, Farrise & Greenwood - Expertise as mesothelioma lawyers fighting for victims of mesothelioma cancer, a disease that is a result of exposure to airborne asbestos fibers. Kilpatrick Townsend - Serving clients around the world from 18 offices in California, Colorado, District of Columbia, Georgia, New York, North Carolina, Washington, Sweden, Dubai, Japan and Taipei. Financial transactions and securities, intellectual property, construction. Kirkland & Ellis LLP - Litigation, corporate, intellectual property, bankruptcy, tax and counseling matters. Labaton Sucharow LLP - Securities class actions and major antitrust cases. Lanier Law Firm, The - Pharmaceutical liability, asbestos exposure, business fraud, serious personal injuries, product liability, and toxic exposure. Latham & Watkins - Corporate Law, Securities, Mergers, Acquisitions and Divestitures, Securities, Banks and Banking, Finance, Public Finance, Utility Law, Bankruptcy, Debtor and Creditor, Contracts, Copyright, Intellectual Property, Computers and Software, Patents, Trademarks, Taxation, Employee Benefits, Trusts and Estates, Environmental Law, Toxic Torts, Business Law, Partnership Law, Health Care, Hospital Law, International Law, International Trade, Casinos and Gambling, Class Actions, Civil Practice, Litigation, Appellate Practice, Torts, Energy, Insurance, Labor and Employment, Leases and Leasing, Real Estate, Zoning, Planning and Land Use, Legal Ethics and Professional Responsibility, Professional Liability, Nonprofit and Charitable Organizations. Law Office of John L. Burris - Civil rights litigation, particularly in the context of police misconduct, and racial and sexual discrimination in employment. Located in Oakland, it serves the San Francisco Bay Area, Sacramento, Los Angeles and California. Levy Phillips & Konnigsberg, LLP - Mesothelioma and asbesos litigation. Lewis Bach PLLC - Based in Washington, D.C., an internationally recognized firm for insurance and reinsurance, international financial disputes and global commercial litigation. Leigh, Day & Co - Specialises in accident and personal injury, administrative and public law, clinical negligence, environment, human rights, multi-party actions and product liability. Lieff Cabraser Heimann & Bernstein - Committed to achieving justice for investors, consumers, employees, patients, and business owners; promoting safer products and fair competition; protecting our environment; assisting individuals blow the whistle on fraud; safeguarding the rights of patent and copyright holders; and remedying violations of the civil rights of citizens worldwide. Represents plaintiffs only. Masterson, Hoag & Smith, P.A. - Focuses on medical malpractice, legal malpractice, personal injury and wrongful death, and scientific and technical matters. Matraix Chambers - Matrix acts for private and public clients and has particular expertise in key areas of UK, European and international law, including: commercial, competition, crime, data protection, discrimination, education, employment, environmental, extradition, fraud, freedom of information, human rights, immigration nationality and asylum, international arbitration, local government, media, mutual assistance, prison and social welfare. Mayer Brown - A global law firm operating in major cities world-wide. With 1,000 lawyers in the Americas, 300 in Asia and 500 in Europe, it delivers practical solutions to transactional, dispute resolution and regulatory challenges. Milberg LLP - Prominent and successful class action firm in the fields of securities, accountant liability, corporate fiduciary, consumer, insurance, antitrust, healthcare, human rights, and related areas of litigation. Morgan Lewis - Founded in 1873. By the end of the 19th century and into the 20th, Morgan Lewis counseled many leading companies including, Philadelphia's largest newspaper, Pennsylvania's largest railroad, a major paper manufacturer, banks and trust companies and the largest manufacturer of steam locomotives in the world. Morvillo - Focuses on complex securities-related and white collar matters, where there is often a substantial overlap between government investigations and litigation and private civil litigation. Motley Rice LLC - Recognized for their work on behalf of asbestos victims, against Big Tobacco, and for 9/11 families in their lawsuit against terrorist financiers. Nolan & Auerbach, P.A. - Specializes in government whistleblower fraud cases including health care, pharmaceutical and Medicare fraud. Northern California Estate Planning Counselors, LLP - Estate planning and elder law resources. O'Melveny & Myers LLP - Established in 1885, the firm maintains 13 offices around the world, with more than 900 attorneys. Capabilities span virtually every area of legal practice, including Capital Markets; Corporate Finance; Entertainment and Media; Intellectual Property and Technology; Labor and Employment; Litigation; Mergers and Acquisitions; Private Equity; Project Development and Real Estate; Restructuring and Insolvency; Securities; Tax; Trade and International Law; and White Collar and Regulatory Defense. Ogletree Abbott Law Firm, L.L.P. - Jones Act law firm. Olson Hagel & Fishburn LLP - Political law, litigation, campaign reporting services, public retirement law. Orrick - Serving the technology, energy and infrastructure and finance sectors globally. Quinn Emanuel Urquhart Oliver & Hedges, LLP - Practice areas cover virtually every type of business dispute, from patent and copyright litigation to securities litigation, international arbitration, antitrust litigation, employment litigation and white-collar crime. Patterson, Belknap, Webb & Tyler LLP - New York City. Practice combines deep and varied litigation experience in fields such as intellectual property, false advertising and unfair competition, media, employment, product liability, white collar crime and internal investigations, and appellate practice, with a significant transactional and counseling practice including corporate, exempt organizations, tax, employee benefits, trusts and estates and real estate law. Patton Boggs LLP - Legislative specialists with extensive backgrounds in government service and strong ties to both major political parties in the U.S. International law concentrates on global business and trade, business law, secured transactions, public offerings, financial services. Paul, Hastings, Janofsky & Walker LLP - Global law firm. Paul, Weiss, Rifkind, Wharton & Garrison LLP - Litigation and corporate law, employee benefits and executive compensation, finance, intellectual property, personal representation, real estate and tax law. People's Law Office - Successfully fighting for the civil rights of victims of police brutality, wrongful convictions, false arrest and other government abuses for over 40 years. Located in Chicago and regularly represent clients in civil rights lawsuits against government agencies throughout the Chicagoland area, but also practices in a variety of other states. Phillips & Cohen, LLP - Devoted exclusively to representing whistleblowers in cases brought under federal and state whistleblower reward programs. Pier 5 Law - A group of sole practitioner attorneys who, as a group, have shared office space for over 40 years. Independent lawyers, fighting injustice in the fields of criminal defense and civil rights litigation relating to the criminal justice system. Committed to progressive causes. Also home to J. Tony Serra. Pillsbury - Full-service law firm with industry focus on the energy and natural resources, financial services, real estate and construction, and technology sectors. Potomac Law Group - Full service law firm. Proskauer - Global law firm: corporate finance, mergers and acquisitions, private equity, real estate transactions, bankruptcy and reorganizations, taxation, litigation, trusts and estates, intellectual property, and labor and employment law. Public Citizen: Litigation Group - The Litigation Group is the litigating arm of Public Citizen. The Group works on cases at all levels of the federal and state judiciaries, and specializes in cases involving regulation, consumer rights, access to the courts, open government, and the First Amendment, including Internet free speech. Reed Smith - International law firm. Robbins Geller Rudman & Dowd LLP - Complex litigation, emphasizing securities, consumer, insurance, healthcare, human rights, employment discrimination and antitrust class actions. Robins Kaplan LLP - Intellectual Property, Business Litigation, Antitrust, Entertainment and Media Law, Insurance Litigation, and Mass Tort. Award-winning pro bono, diversity and associate training programs. Public Interest Lawyers (PIL) - PIL provides a quality and specialist legal service to individuals and groups around the world on legal matters of public interest. International practice areas include international law, international humanitarian law, international human rights law, international environmental law and international criminal law. In the UK its practice areas include public law, human rights law, environmental law and planning law. Rudy Exelrod & Zieff, LLP - Individual and class action employment cases. Sandler, Travis & Rosenberg - International trade advisory services. Shearman & Sterling LLP - Antitrust and Trade Regulation; Banking; Bankruptcy and Corporate Reorganization; Compensation and Benefits; Environmental; Finance (including Corporate Finance, Domestic Private Finance, Financial Institutions, International Private Finance and Project Finance); Individual Clients, Trusts and Estates; Insurance; Intellectual Property; International Trade and Government Relations; Litigation and Arbitration; Mergers and Acquisitions; Oil and Gas; Privatizations; Real Estate; and Tax. Shore, Sussan - Specialist in Probate, Estate Planning and Trust Law. Shareholder/Managing Director at Weinstock, Manion, Reisman, Shore & Neumann. Sidley Austin Brown & Wood - Corporate, banking, regulatory, intellectual property and litigation capabilities. Simpson Thacher & Bartlett, LLP - Litigation, banking, corporate, securities. Sive, Paget & Riesel, P.C. - Environmental law and litigation. Skadden Arps, Slate, Meagher & Flom LLP - Corporate law. SNR Denton - SNR Denton has emerged as a top 25 law firm by number of lawyers and professionals, serving clients from 61 locations in 43 countries. Snyder & Snyder, LLP - Represents private and public sector clients in developing both wire-based and wireless communications networks. Practice includes utility rate regulation, telecommunications, communications, real estate and environmental law. Spence Law Firm LLC - Represents people who have experienced serious personal injury, the wrongful death of a family member, medical malpractice, unjust criminal charges, or the violation of their civil rights. Founded by Gerry L. Spence. Steptoe & Johnson LLP - The firm has gained a national and international reputation for representation of clients before governmental agencies, advocacy in litigation and arbitration, and advice in guiding business transactions. Offices in Washington, Phoenix, Los Angeles, London, and Brussels. Sullivan & Cromwell LLP - Business practices in areas such as mergers and acquisitions, banking regulation, real estate finance, derivatives and private equity, securities offerings and securities regulation. From its earliest involvement in the formation of Edison General Electric Company in 1882 and United States Steel Corporation in 1901 to its present work with the companies that are leading the global economy into the 21st century, the firm has been closely involved in the affairs of some of America's greatest industrial, commercial and financial enterprises. Tew Cardenas LLP - Specializes in complex litigation, corporate disputes, real estate, bankruptcy, securities and life insurance, class and derivative actions, and white collar criminal defense. Offices in Miami, Tallahassee and Washington, D.C.
Thomas & LoCicero - Law firm with a wide array of clients, including media, broadcast, and entertainment companies as well as corporations in such diverse businesses as advertising, agricultural chemicals, aviation, business equipment, education, insurance, professional staffing, and supermarkets. Litigates business disputes, protects intellectual property, and provides solutions to legal challenges posed by new technologies. Vititoe Law Group, LLC - A law firm in Westlake Village, Calif. focused on personal injury, car accidents, mass torts and environmental legal cases. Wachtell Lipton Rosen & Katz - General Practice, Mergers and Acquisitions, Corporate, Securities, Antitrust, Executive Compensation, Bankruptcy, Reorganization, Taxation, Real Estate, Probate and Commercial Law, Trials and Appeals. Weil, Gotshal & Manges LLP - Business Finance and Restructuring, Business and Securities Litigation, Corporate, Litigation, Real Estate, Tax, Trade Practices and Regulatory Law, and Trusts and Estates. Weinstock, Manion, Reisman, Shore & Neumann - Los Angeles, California. Provides expert assistance and counsel in the areas of estate planning, probate and trust administration, general business and corporate law, taxation, real estate, trust and estate, and litigation. White & Case, LLP - Founded in New York in 1901, White & Case has lawyers in the United States, Latin America, Europe, the Middle East, Africa and Asia. Its clients are public and privately held commercial businesses and financial institutions, as well as governments and state-owned entities, involved in sophisticated corporate and financial transactions and complex dispute resolution proceedings. Wilson Sonsini Goodrich & Rosati - Antitrust Counseling, Corporate Finance, Corporate Law and Governance, Employee Benefits and Compensation, Fund Services, Litigation, Mergers and Acquisitions, Real Estate and Environmental, Tax, Wealth Management. Wolff Samson - Offers an array of legal services to individuals, government entities and companies from a variety of industries. This webpage last updated on Monday, September 3, 2018 3:43 PM.